In 1901, the minor Western League, led by Ban Johnson, declared its equality with the National League, then the only major league in baseball. Johnson changed the name of the league to the American League, leading teams in his league to be christened with the unofficial nickname “Americans”. 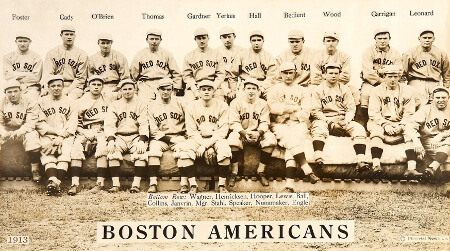 This was especially true in the case of the new Boston franchise, which would not adopt an official nickname until 1908.